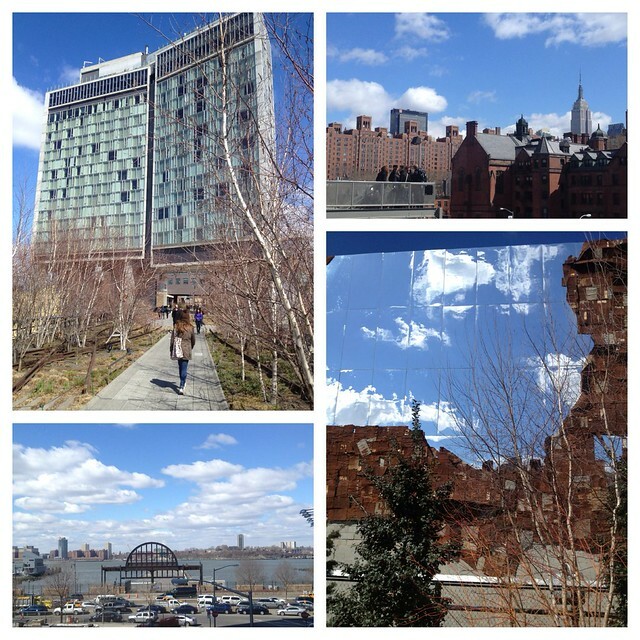 While in New York on a trip sponsored by Snooth I took some time to stroll through High Line Park. I can’t recall a more surprising, inspiring, or thoughtful way to spend a leisurely hour before sitting down to taste wine. It’s possibly the coolest city park I’ve visited. You’re lifted up off the ground to not only better enjoy the views, but also to soak in the artistic touches and design of the park. 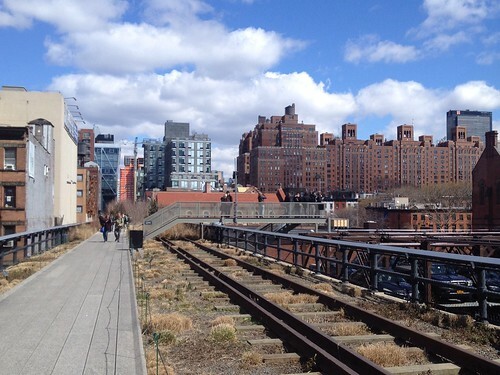 The High Line is ultimate in rails to trails transformation. I started to think about what wines would be most evocative of this experience, and I got my answer at a seminar (one of many put together by Snooth for myself and a group of fellow bloggers) on Gruner Veltliner conducted by the personable and knowledgeable Aldo Sohm. Not only is he the Chief Sommelier at Le Bernadin and a winner of the Best Sommelier in the World award, but he’s also a winemaker. Naturally, Austrian-born Aldo is making Gruner. And, based on his dynamic presentation, he clearly has a passion for wine, for educating, and for life. The wines ranged from pleasurable to contemplative, much like the gamut of emotion and feeling captured on the High Line that brisk, sunny day. Like a walk through the park, Gruner is a wine that can be fun and refreshing or serious and brooding. Two of my favorites sampled fit nicely into those bookends. Consulting my prodigious tasting notes, I came across a Gruner I decreed “smokin’ good for $16“, the 2011 Stadlmann. For the intellectually curious seeking something for the cellar, check out the 2010 Schloss Gobelsburg Tradition ($50). And, since flattery will get you everywhere, I’d be remiss if I didn’t mention the austere, lime-y 2011 Sohm & Kracher ($38). Finally, if you’re looking for an atypical Gruner with a lot of licorice along with extra punch and richness, check out the 2011 Veyder Malberg Kreutles ($30). Did I say “finally”? I lied. Because I must make special mention of the 2011 Prager Stockkultur ($90). Prager has a special place in my heart, as I was introduced to them back in 2004 while working at Randolph Wine Cellars in Chicago. I had the opportunity to taste (drink) vintages of both Gruner Veltliner and Riesling with a few years of age on them and they took my breath away. I recall one evening in particular at a restaurant in Chicago where, during a multi-course meal of great diversity, technique, and flavor, a Prager Gruner somehow managed to match each dish. Meet me on the High Line? Don’t forget the Gruner. There was a branch of Terroir up there last year. No comment on clandestine Gruner consumption…. It’s so sad to think that I live in this city and still haven’t made the time to visit this park. I guess when you live here you start to forget to take a moment and enjoy some of the attractions. I could certainly see a glass of Gruner going well with an afternoon walk here, but maybe in slightly warmer weather than we’re currently experiencing. Great write up and it was very good to meet you. Drop me a line if you’re in the city again and maybe we can hook up. It was sunny but very brisk when I went. 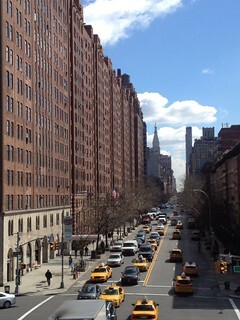 Enjoy the High Line when it’s a little warmer. Hey, I’ve lived in Seattle for 8+ years and still haven’t been to the top of the Space Needle. I woke up from a nap and realized with horror that the garbage bin I’d been sleeping in was rolling at a brisk pace, having been pushed down a hill by some evil teenagers. 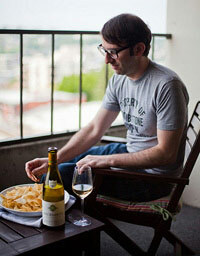 What kind of wine, I asked myself, would be most evocative of this experience? The answer came to me in a flash – either Red Wine in a one-liter box, or possibly Thunderbird. My mood was somewhere between depressed and murderous. One week’s severance after eight years on the job? What kind of wine, I asked myself, would be most evocative of this experience? Malbec? My answer arrived when I pushed a man in a suit – a man I didn’t know, he was just walking by at that moment – onto the ground in front of a Chinese restaurant and grabbed the brown paper bag he’d been carrying. The bag contained a bottle of Petit Sirah. Please don’t take offense, Jameson. I’m a regular reader, just having some fun. I’ve been on a Gruner Veltliner kick myself recently. How dare you mock my precious post! I think it’s great; I want to read more! I’ve never even heard of this park – it’s now on my list! Thanks so much! Glad I could introduce you to a wonderful spot. Hope you get a chance to visit soon.